Teachers working in the predominantly Muslim districts of Molenbeek and Schaerbeek in Brussels have reported that “90 percent of their students, 17, 18 years old” called the Islamist terrorists who attacked Paris and Brussels “heroes”. The revelation came in an article in the New York Times, wherein Steven Erlanger spoke to a Belgian policymaker who relayed the information from Belgium. The piece, entitled “Blaming Policy, Not Islam, for Belgium’s Radicalised Youth”, interviewed Yves Goldstein, chief of staff for the minister-president of the Brussels Capital Region and a Schaerbeek councilman. Schaerbeek and Molenbeek are now infamous as the areas in which for months Islamists lived, hid, manufactured weapons and made preparations for the Paris and Belgium attacks. The article neglects to ask basic questions like why – if Islamic extremism is the fault of Belgian urban planning – is it happening globally? 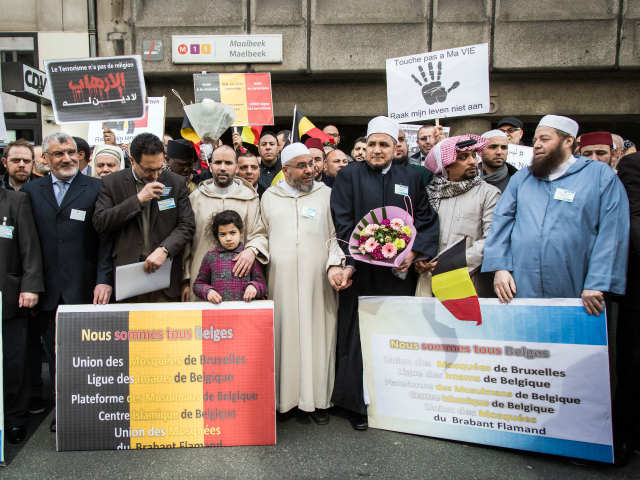 Why Jewish communities might have left Schaerbeek? Or why Chinese diaspora, living in Chinatown-like communities and taking no interest in modern art, seem to be at no risk of committing terrorist attacks?